The recent 2018 ParticipAction report card on physical activity for children and youth isn't something to brag about. The non-profit organization's report found only 35 per cent of children aged five to seven, and 62 per cent of children aged three to four, are achieving the recommended physical activity levels for their age group, earning them a D-plus for overall physical activity. 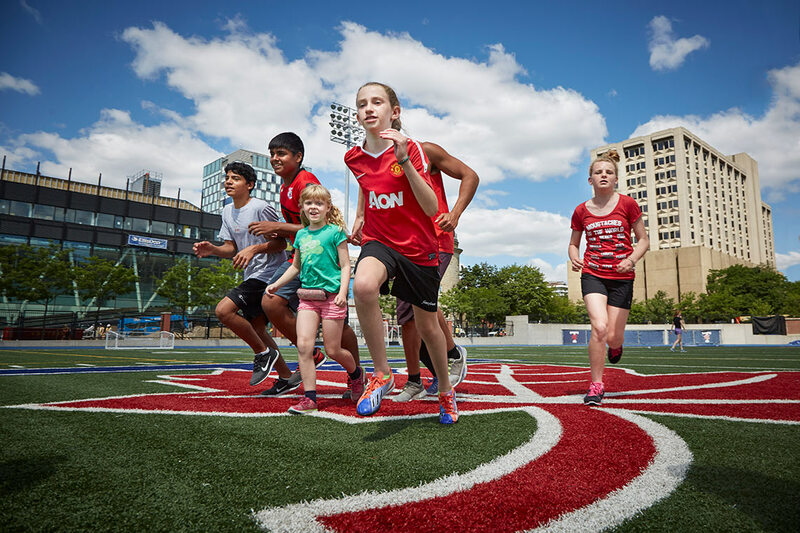 John Cairney, a professor in the University of Toronto’s Faculty of Kinesiology & Physical Education, believes there are a number of reasons for the low grade, despite growing awareness about the benefits of physical activity to overall health. “Children and youth spend too much time on their tablets and smart phones and a lot less time playing active games and moving. They are not engaging in active transport like riding or walking to school like we used to see in the past,” he says. Cairney, whose research interests include pediatric exercise science and mental health, was an expert panel member for the physical activity and brain health supplement for the report card, which found that all children and youth need to be physically active on a regular basis for better brain health. “There is no question that physical activity is key to child and youth health and development. Evidence in the report shows this is not only true for heart, muscles and bone, but also for the brain,” he says. “Physical activity improves learning, mental processing and mental health and well-being for typically developing children and for those with disabilities,” says Cairney. The researchers found that children and youth who participate in physical activity have more focused and longer attention spans, compared to their less active peers. They are less stressed and have improved self-esteem, which may lead to better moods. And regular physical activity was found to improve cognitive function in children and youth who have brain-based disabilities, such as autism spectrum disorder or Attention Deficit Hyperactivity Disorder (ADHD). “This is critical information for parents, educators and everyone who works with or cares for children and youth,” says Cairney. The report advises parents to be active as a family and to encourage daily activity. It recommends health-care professionals prescribe physical activity to complement any prescribed medical course of treatment for anxiety, depression and focus-related conditions, such as ADHD. Educators are encouraged to teach an active curriculum and not take away play time as a form of punishment, and the government is urged to make physical activity more accessible for low-income families and families with children with disabilities. “The solutions aren’t complicated. I am optimistic that the message is getting through. We need to work together to make positive changes,” says Cairney.